With an estimated $190M budget, this film collapses beneath the weight of mighty expectations, made murkier by a misleading marketing campaign and problematic Acts I and II. 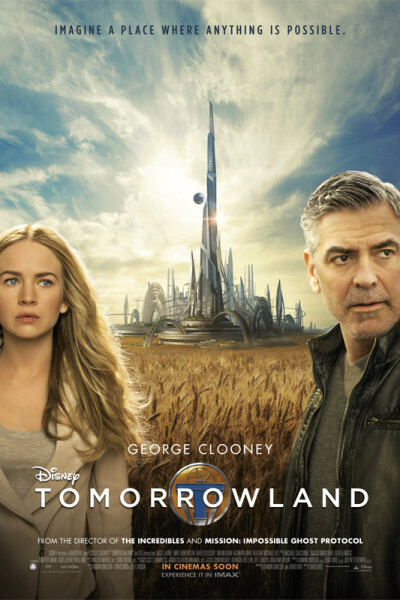 The film picks up steam once George Clooney arrives on the scene, but by then it's too late. Once again, Britt Robertson outpunts her coverage, delivering another milquetoast performance. I'm starting to suspect her agent has someone's little black book, because the size of her chops and the size of her roles does not compute. I expected this movie to be good, hoped it would be great, and in the end—just wanted it to be over. Lauren loved it, as did several kids who accompanied. Perhaps through their eyes it was Escape to Witch Mountain, which I loved, too, as a kid.